As per usual, I put on light TV shows in the background when I’m working around the apartment. Today, I had a moment watching this episode of this show (The Good Place, Season 2, Episode 12). I’ll get back to that in a minute. I grew up on western thinking, the “American Dream” (nice suburban home, white picket fence, 2.5 kids, the dog, job of choice, etc), and a penchant towards perfectionist and successful overachiever. And for awhile, that sustained me. Childhood was good. There was always a part of me that was a dreamer. I dove into fantasy books head on, escaping reality. I loved art, whether fine or performance or whatever, really. That developed even further when I went to college for theater design. There was so much more to discover, and it felt more and more “right”. After many years of working hard doing the thing I love for little return and without the ability to afford to live in New York City as a self-sufficient adult, I burnt out. Since then, I’ve been on a path of twists and turns, a roller coaster that has moved me across the country three times and seen me through a new job every year of my life, all while still completely burnt out. Unable to focus, properly contribute to my fullest degree, or to really experience living. This is the path of the “American Dream” for most. Even when I think of it in regard to the immigrants who came to this country to give their children a life of freedom, they worked themselves to the bone on minimum wage just to get by, and probably didn’t get to even see much of their children’s lives as they grew up. 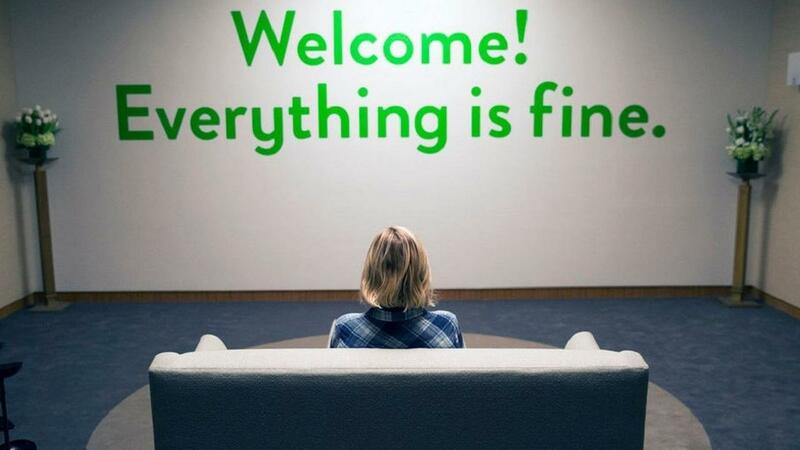 This is what society’s ideals sell here in the United States – a mediocre existence with the hope of someday breaking through to “The Good Place” (which on Earth I take to mean whatever existence would be your most comfortable existence). In the episode I mentioned above, (spoiler alert, please don’t read this if you don’t want to get a glimpse into the Season 2 finale) Eleanor ends up back on Earth and gets saved from her death. She then decides to become a good person, which seems to go well at the start. She becomes nicer: telling the truth, apologizing for her terrible acts, quits her Ponzi scheme job and joins an environmental group, and even becomes a vegetarian. As I watched this, I felt a tear slide down my cheek. Not a happy tear, but a sad one. What?! Why would these good acts inspire sadness? As I’ve gone through my life journey, I’ve experienced a lot of resistance and, to be honest, people who have done some things that have led to bad effects on my life (of course, there have been some amazing helpers, too, not all fall into the first category). These experiences have lead me to a path of self reflection and learning, and I’m grateful that I’ve had the outcome reaction that I’ve had, although it certainly did take many terrible times before getting there. And still, I am burnt out. Over the past few years, I’ve come to a place of better understanding of myself than I’ve ever had before. It’s a fantastic and scary place to be. To be “awoke”, in this society, is a blessing and a curse. Healthiness, consciousness, creativity – it is something that seems like it would be all rainbows and sunshine, right? Sometimes, I feel better than I’ve ever felt before – connected, powerful (in the natural sense), helpful, and more fully stepping into who I am as a human being. Those days are still pretty few and far between. It’s a full life change, to follow this path that I’m discovering I was meant to take, and have probably taken before in previous lives. And it’s really tough to not only make a full life change, but to do it in American society today. The majority of us are in this – we’re burnt out, unhappy, and unsure what to do about it, but don’t even have the time to really think about it. Or, if we do have the time, we instead take the easy way out, binging on fantasies of what could be instead of doing the hard work to make it happen for ourselves. Our collective energy is so burnt out and sour that we fester in it because we don’t know what fresh, clean air smells like anymore. We indulge ourselves in the quick and easy because that is all we have space for. Eleanor spends about six months trying to be a good person, and then things start to deteriorate. People don’t care about the environmental cause, she gets thrown out of her apartment for telling the truth, and she’s tired, poor, and burnt out. She’s living in a society that’s pre-prescribed for her to fail: one where it’s easier to make more money if you’re shady, it’s easier to ignore the hard stuff just to get by, and it’s easier to become isolated because you are so worried about the survival of yourself (and maybe your tribe). Sometimes, I wonder what life would be like if we all were simply born knowing exactly who we are and what we were to become, and there were no “societal norms” or “peer/family/whoever pressures” to get in the way of us simply stepping into those roles. Would burn out not be a thing? Would we have less issues facing our health, our planet, and our society? Would we be bored? Sometimes, I fall down a rabbit hole of wishing I had learned about paganism and eastern philosophy and healthy eating and so many other things long ago, before I burnt out, when I could more readily consume it, memorize it, and practice it regularly. It’s a feeling I’m learning to recognize, honor, and work through, yet another item to add to the list. The ironic thing here is that there are so many people out there capitalizing on ways in which to become “woke”. I get it: they have to pay rent and purchase their necessities and comforts, too. But where does one draw the line and stop making lists of things to do to get “woke”, and simply just be it? I don’t know what the answer is here, or even a question, or really even what I’m trying to achieve by writing this. Maybe I just needed to get all of this off my chest, or maybe to connect with others who are going through a similar experience. While this became more ramblings then a structured post, I think the pieces are all relevant to each other and unstructured rambling is very fitting of the thoughts swirling around in my brain at this precipice in my life. Most of the time, there is no one magic potion. There is no one band aid. There is no one chance meeting that immediately changes your entire life. Change most often takes time and a lot of work. It is met with resistance and challenges and fears and sadness. And, when you’ve already been burnt out for years, there’s not much to hold together against those blunt forces. What I’m hoping is that, as I go and make these positive changes towards stepping into myself, the blunt forces will help rub off the charred carbon, returning me back to a human being. Sometimes I see glimmers of it, and sometimes not. All I can do is keep breathing and trying and allowing tears when they need to release the sadness, as well as celebrate the days when everything aligns and I’m truly, contentedly me.